Yesterday I was invited to do a presentation in Cologne about some aspects of SEO and Online Marketing and also to sit in with a bunch of long-time Online Marketing Experts on a panel discussion. The prequel of the yearly SEO-Day in Cologne is together with the larger conference on the following day a must-go SEO and Online Marketing gathering of some of the finest minds in Germany. You’d meet agencies and great speakers and also visitors from all over Germany, Austria and Switzerland. Because the ExpertDay follows the idea of “don’t tweet, don’t show, don’t tell”, so speakers are motivated to reveal one or the other secret or background of their business, I can not dig deeper into the first day (and really like the fact that speakers are indeed uncovering cool stuff, they would probably not show around to their competition). The following, open SEO-Day is a classic Online Marketing conference with panels giving the attendees an update on search engine marketing, the tools and the learnings of the past months. It fitted perfectly that the German crowd had the fresh Halloween Update by Google as a topic to dive into. I spend the day talking to old friends, rather than visiting a lot of talks, but the list of speakers was impressive and the rooms were fully packed by visiting folks! http://www.online-marketing-tag.de/recap-seo-day-2015/ – Mario has written nice German summary, too! have a good list of further summaries! 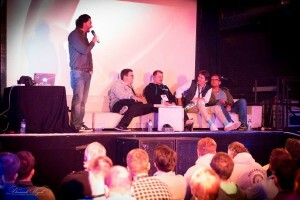 Pingback: SEO Day 2015 Recap & SEO ExpertDAY in Köln.